When Robert Altman died in '06, he was working on his memoir with BU journalism professor Mitchell Zuckoff. 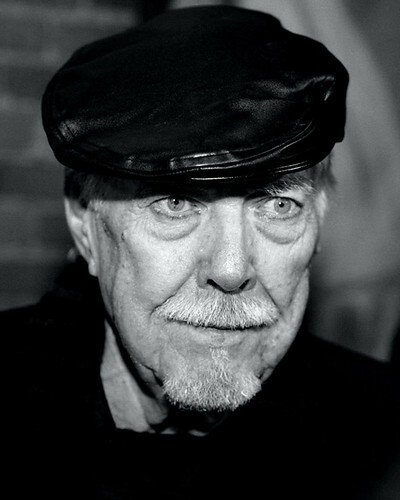 The results have been published and titled "Robert Altman: The Oral Biography". Zuckoff is sure to have plenty of Altman stories to share. From what I know about the director, they probably could have filled a book that is twice as long as 576 pages. This prefaces the presentation of six Mondays of Robert Altman films. Along with tonight's discussion will be a screening of "Les Boreades", the segment he directed in the movie "Aria". Elie Wiesel, "In the Talmud and Other Sources: Satan in Ancient Memories"
This is the second of a three-lecture series called "The Fascination with Jewish Tales". It could be interesting to hear Mr. Wiesel talk about the history of the devil from a Talmudic perspective. Doors open at 6pm. Seating on a first-come, first-served basis. Please note that due to security concerns, all bags are subject to inspection upon entry. No seating allowed in the Ballroom once program begins. Overflow seating available at the Conference Auditorium. Maybe you've noticed "Good Without God?" billboards on the T. It's part of the campaign for the book by Greg Epstein, the Humanist Chaplain at Harvard. All humanists, nontheists, atheists, etc are invited for this kickoff "to help build cooperation and community among... nonreligious Americans." I'm there will be some speakers along with mixing/networking time. If you get there early enough, you could get a "Good Without God" bracelet and a free glass of champagne. There's an afternoon celebration of Dia de los Muertos at Forest Hills Cemetery, but it seems geared towards younger people. For those who still didn't get enough supernatural celebration, Humanwine might be the ticket. These folks seem to be rather aware of these sorts of things; and their gypsy-flavored, multi-genre rock might just coax the spirits out. When they performed last month, it seemed like they were going to be on the road. With a 3-week residency dubbed "Munificent Mondays", I have a feeling that Humanwine's tour may have hit a couple bumps and are looking for some generosity. I think the music might actually start, because I read, "Each night is a 9pm showtime but feel free to come around 8pm to visit the info tables." If you like Apollo Sunshine, then you're probably going to hear something you like from Nighttime Gallagher who also sings and plays bass/keyboards in that band. I liked listening to Wonderful Spells, so I'm giving a thumbs up to Jamie Moore who's performing while the band is in suspended animation.